One of the doctors who unlocked the human genome, making it easier to identify and study the genes associated with Progeria and other genetic conditions is a recipient of the Albany Medical Center Prize in Medicine and Biomedical Research. 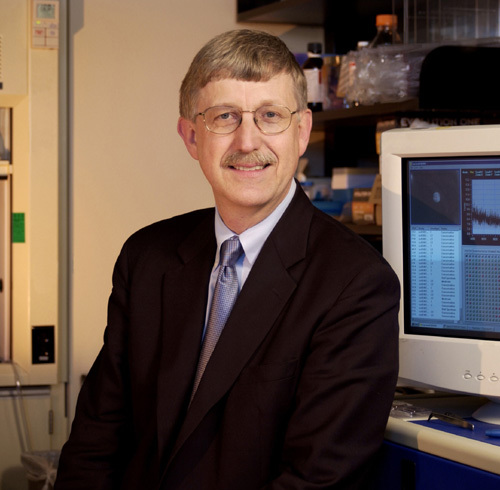 Francis S. Collins, M.D., Ph.D. is the director of the National Institute of Health. Collins will be recognized along with the others chosen for the prize on April 23 at the Albany Medical Center in Albany, N.Y. The Human Genome Project identified the approximately 20-25,000 genes and identified the sequence of 3 billion chemical pairs that make up human DNA. The information was immediately available online to researchers and will be used to ensure a quick as possible route for researchers in medicine. Collins declined his portion of the $500,000 prize that would have been awarded in order to comply with ethical rules. Other recipients of the prize are Eric Lander, Ph.D. and David Botstein, Ph.D.